Vermont Cleft Palate-Craniofacial Foundation | Change a Child's Life | Vermont's Nonprofit Foundation Helping Children Born with Facial Deformities such as Cleft Palate and Cleft Lip. 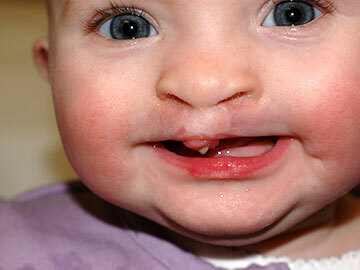 Cleft lip and cleft palate is the most common birth defect in the United States, effecting one in every 600 newborns. A combination of genetics and environmental factors we do not fully understand yet cause clefts. Our upper lips are made from three parts early in pregnancy, and a cleft lip is the result of those parts not fusing together. The Vermont Cleft Palate-Craniofacial Foundation supports the best care to cleft-affected children in Vermont. Medical and dental insurance only partially covers the expenses of care. We are here to help families with needed care. Please consider making a donation to help a Vermont child with facial deformities. 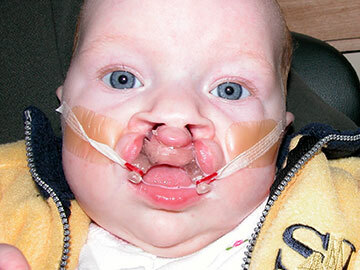 Are you looking for more information regarding treatment for cleft lip/palate for your child? Please contact us to learn more about our foundation. The American Cleft Palate-Craniofacial Association is an excellent source for more information and resources. 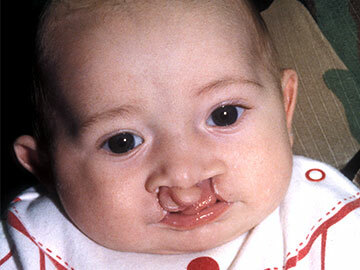 The Vermont Cleft Palate–Craniofacial Clinic was formed to treat children born with clefts and other craniofacial differences. The Vermont Cleft Palate-Craniofacial Foundation was formed to continue supporting this important work. We are committed to giving the best care to children for their total rehabilitation. Since 1969, Vermont Cleft Palate Clinic has helped hundreds of Vermont children find their smiles again. Our team has met the high standards of the American Cleft Palate–Craniofacial Association for approval of multidisciplinary teams. Please read some of our success stories to see the impact of our work in the community. University of Vermont Children’s Hospital is happy to announce our new cleft & craniofacial program, led by pediatric plastic surgeon Dr. Thomas Willson and clinical coordinator Kristen Daniels, PA-C. The clinic was previously run by the state of Vermont, and is transitioning care to our team. Our clinic helps approximately 250 children receive life-saving surgery and care annually. In 2017, we lost our primary funding and must now rely on personal donations to keep going. Please consider making a donation to help these children have a bright future. What is the Treatment of Cleft Palate? My son Rhett was born with a cleft lip. He had a minor deformity of one of his nostrils and a little indent in his palate. Doctor Laub preformed his surgery at 3 months (shortly after this baby picture was taken). The surgery went very well (as you can see) and we have been lucky enough to only have had dental issues to deal with (and those are minor) since. I loved that little face but I am glad for his sake that he had such a talented surgeon to look after him. He has only a little scar as a reminder. Dr. Laub is very thorough, and he's very compassionate. It feels like he's super knowledgeable and experienced, so you feel safe and secure. I just want to thank Dr. Laub for his contributions to making a difference to individuals like me ... and how he's been able to help alleviate some of the tough things about it and improve the quality of lives of his patients, that's something I really appreciate.